Small pier in Alameda, CA. Great lines and the cyclist is perfection! So very un-Bay area like. It seems to be from a by gone era. So so very special. Fav! Wonderful image! 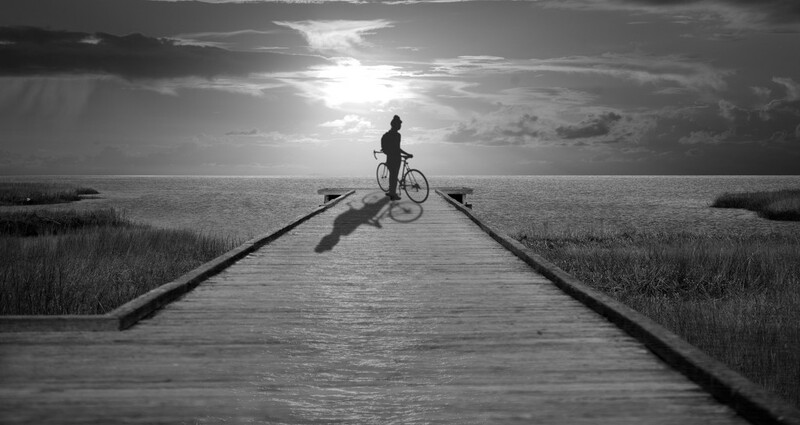 Love the cyclist and his shadow! The timing and placement is nothing less than superb. Has it all - leading line, good strong focal point, wonderful light. Wonderful shadows and lighting with excellent exposure. Love the leading line that ends with a strong focal point. is this a self portrait, mike? awesome composition. aces! Hmmm! More FAVs than comments a winner for sure Mike Adding my FAV to the list! @summerfield I rode earlier in the day, so not a self portrait.